Flashback to young Klaus and his mother who gives him a necklace that he must always wear and tells him that he is her most special son. He loses it and luckily his brother Finn finds it and him mother thanks him. We go to present time and it looks like Klaus ended up giving it to Marcel who asked him if he could have it back. We go then go to the graveyard with Esther and now we find out that the “Cassie” witch is actually Finn and that he has captured Lenore and wants Oliver, the werewolf, to torture her and find out what Elijah wants. We also discover that Marcel wants his vamp to belong and have a family and the protection of an Original. Back with the Mikaelson boys they get a special guest at their home before they have their dinner with their mom. They don’t recognize him until he talks a little more and Klaus figures out that it is his brother Finn in another body. Meanwhile Hayley is with Oliver and making a plan to save Lenore and make it seem like Oli got jumped and someone rescued the witch. Back at dinner Finn wants his brothers to catch him up on all the destruction that they have caused and he tells him that they have a lot to talk about. Finn is angry with them for stabbing him, not trusting him and tells them that he was treated unfairly and asks what did he do to deserve Elijah’s backstabbing. So Elijah tells him that like their father he always despised their supernatural existence and he became pretentious and dull and asks, “Where is mother,” and she walks in. Lenore is saved by Hayley and she thanks her and tells her that she will perform any spell they need to get back at Esther. So as she performs the spell Hayley asks why Esther would come back and Lenore tells her that it’s Esther’s love that made her come back. The spell is completed and she tells Hayley that whoever’s body Esther goes in will be marked with a scar on their hand. So now that dinner has started Klaus yells and shows his despise towards him mother and she reminds him of how much she cared for them and would do anything to protect them. We flashback to find an older Klaus with a sword through his chest and his mother coming to his rescue and he tells her that his father was trying to attack him. They share a special moment and when we go back in time Klaus finds out that the necklace that his mom gave him “protected” him by making him weak and controlling his powers so that he wouldn’t turn into the “beast” that he would become. Klaus gets enraged and all of a sudden his mother faints and we see Lenore working her magic. 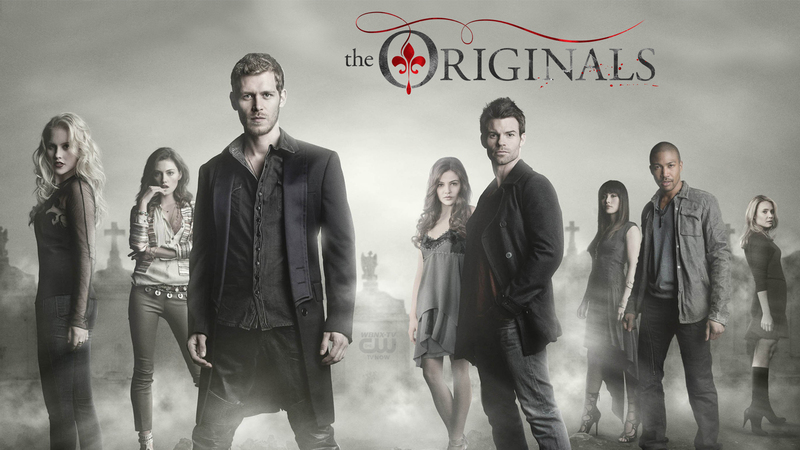 Something strange happens and Elijah is pushed back, Klaus asks where Esther is and Finn does some weird spell and we go back to Hayley who sees Lenore acting strange. She says that everything is ok and then Hayley glances at her hand and we see the scar! Esther is now in Lenore. 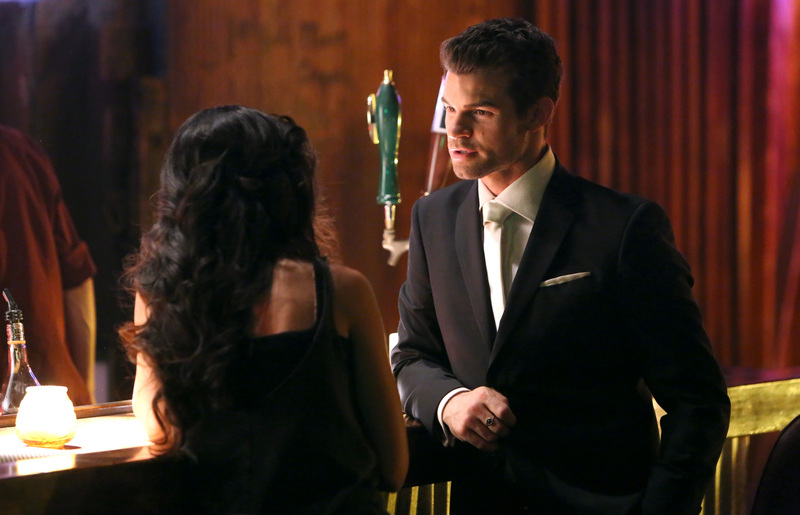 Back at the Mikaelson’s the girl that Esther embodied has no memory of what is happening and Elijah tells him that she is a puppet and that maybe Esther wanted to work her magic with someone else. So Hayley gets a call and Lenore/Esther tells her that she can answer it and she says, “Elijah I’m at Lenore’s shop,” and then Esther cuts her off. They talk and she tells Hayley that she has the power to give her freedom and have a new body where she doesn’t have to be a hybrid and have a normal life. Klaus and Elijah get there and they know that Lenore is Esther now and she tells them that she is here to heal and to give them a new life, one without the vampire curse that she inflicted on them. She gives them a proposition and she tells them that there will come a time when they will beg to be changed. Geez lady!! Now Hayles, E & K are at their home and it seems like Hayley was tempted to take Esther’s proposition of getting a new body. Tension comes between Elijah and Hayley. We miss them being together!!! Klaus tells his brother that he needs him and that his mother made him weak and hurt him all his life. But Elijah tells him that he is protector, the strongest of them all. He always stands up to everyone to protect his family and it’s a warm moment between them. Klaus tells him that he remains the wise one in the family and more should learn from him. Now Elijah is seen at the bar with the newbie vamp, he asks her if she will perform and she tells him that ever since she turned she can’t play her instrument. Thus Elijah explains their new hyper sensitive vampire powers and how she needs to relearn and it takes practice. So wise that Elijah. *swoon. 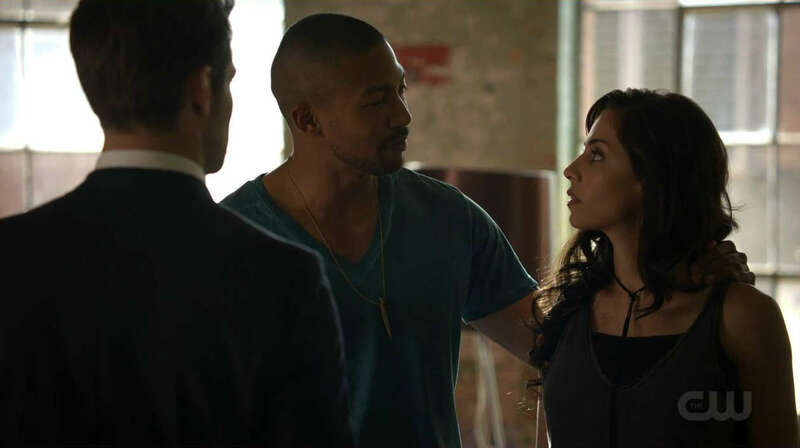 She goes back to Marcel and tells him that Elijah is going to help her and he says, “He will help us all.” Hmm I’m not sure is this is good or bad. Now Esther and Finn are talking and she tells him that she will take everything from Klaus and Elijah and when they are at their lowest point, deepest despair, and when they beg her to help them, she will. Ugh! Evil!